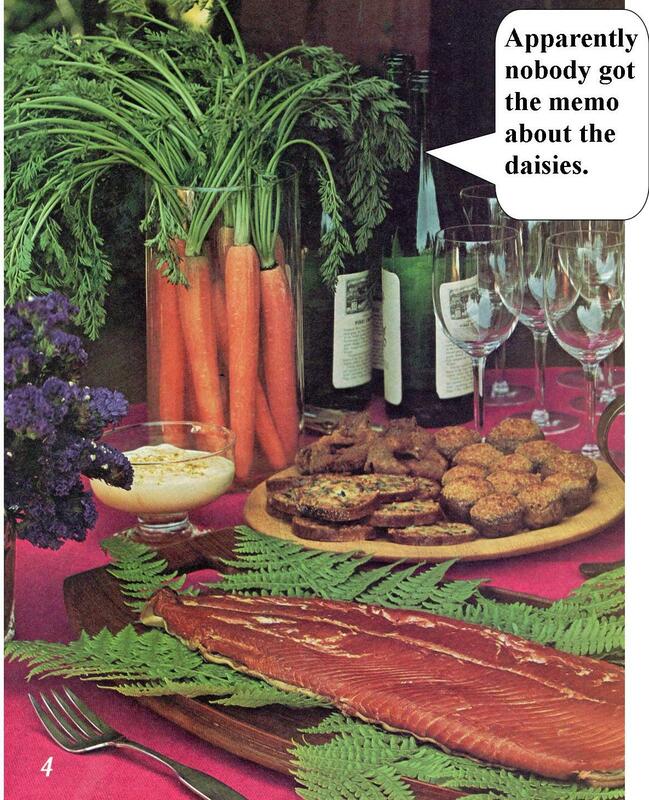 Welcome, Dear Readers, to the Slightly Creepy Seventies. 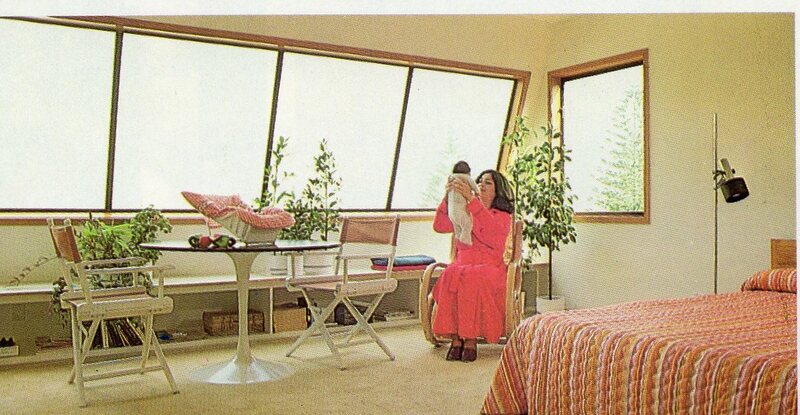 The decade in which babies who were dropped on their heads thirty years prior grew up to become Slightly Creepy Seventies Bedroom Designers. 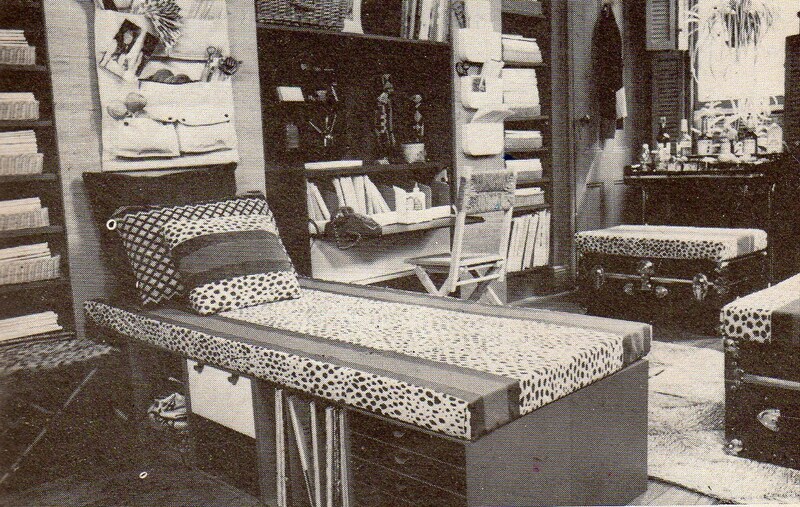 Today we will be examining the bizarre ideas of Slightly Creepy Seventies bedroom designers. 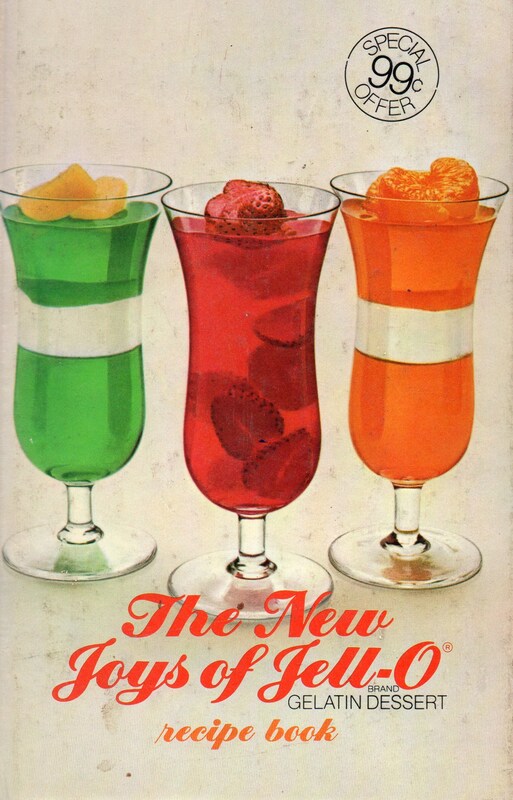 Now here’s a typical slightly creepy seventies bizarre idea. Why not use the top of these filing cabinets as a guest bedroom? 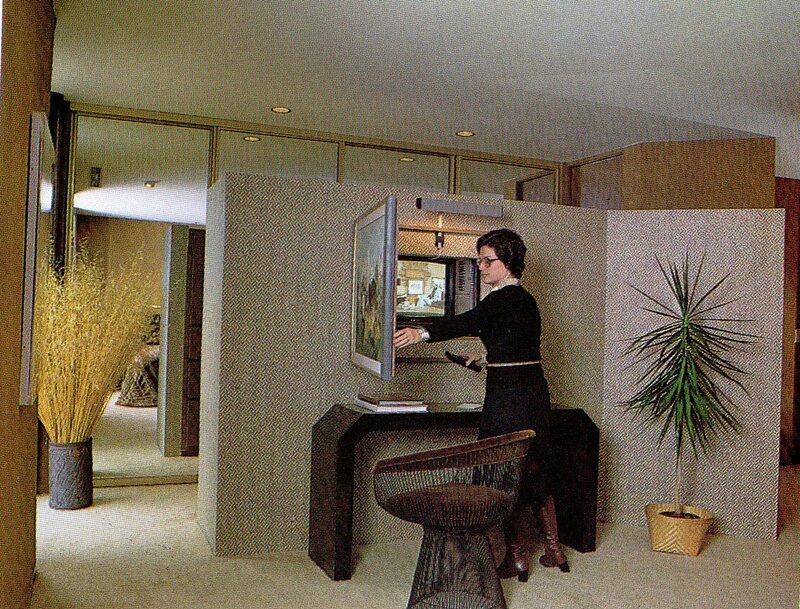 An idea that was so far ahead of it’s time that even millions of years from now there still won’t be any filing cabinet guest bedrooms. Now let’s look at that desk. Go ahead. Take your time. 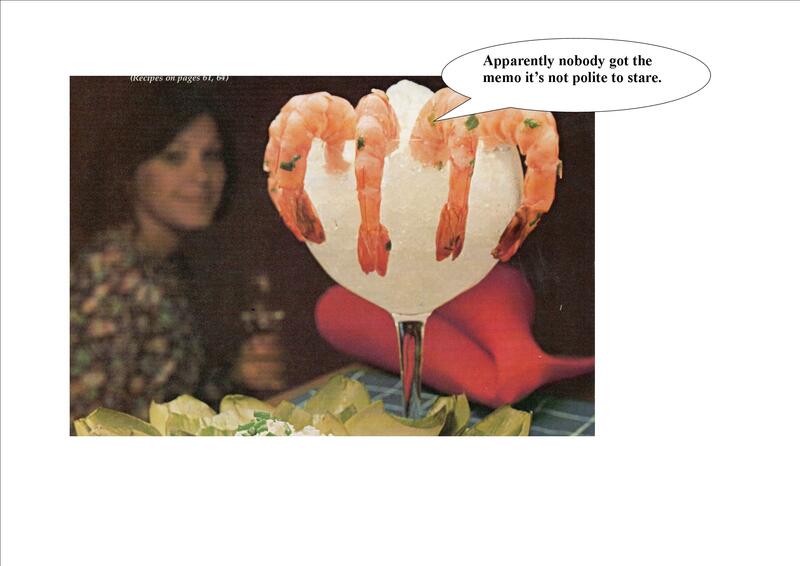 (We’ve got several million years.) 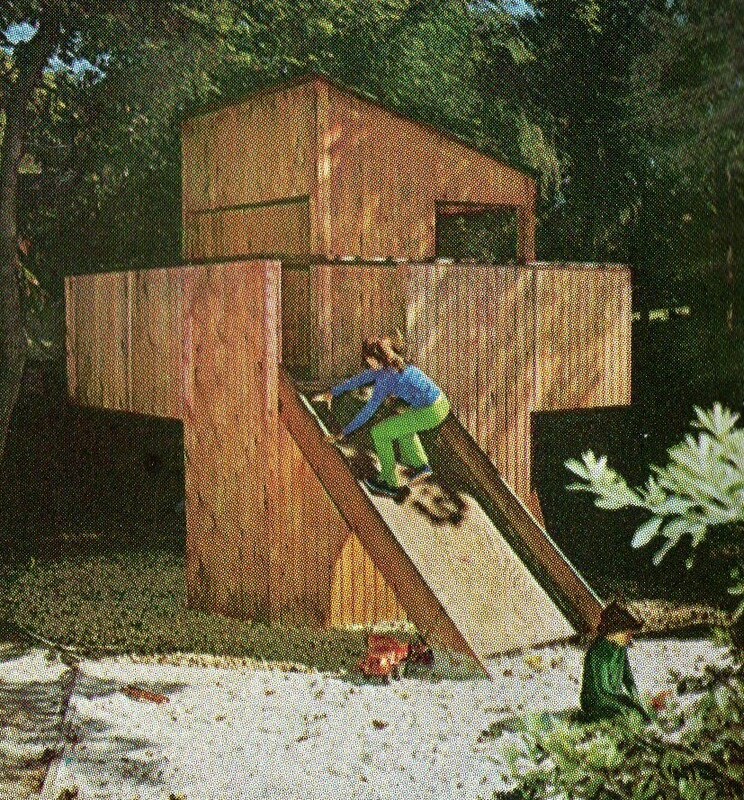 The caption on this picture explains that a desk extension (the one that you see there in the form of the world’s shortest ladder) has been designed in such a way as to allow an overnight guest to climb to the top of the ladder, and, while still facing the wall, launch him or herself into the air, whale-like, with a mighty backward thrust. 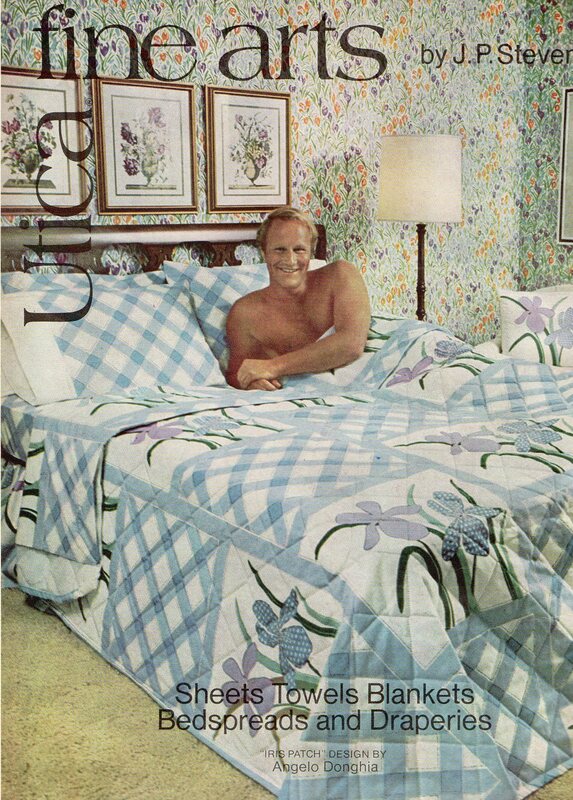 If the guest gets lucky, he or she will land squarely on the comfy two-inch mattress that has been lovingly provided by their slightly creepy seventies host. I know. 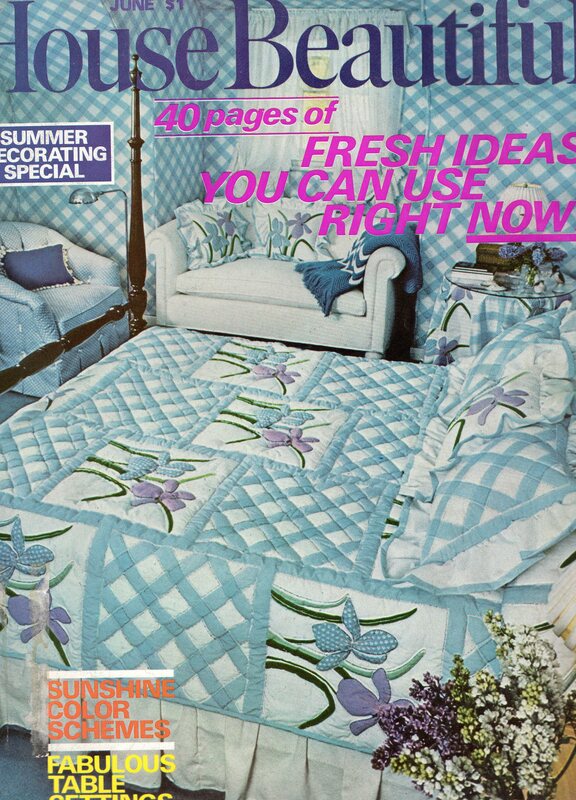 I can hear your next question from a million years away: “But what if guests miss the mattress completely?” Ha ha! No harm done. The good news is the open drawer on the filing cabinet will more than likely break his or her fall. But if that happens the bad news is kidney transplants haven’t been invented yet. Good Lord! It’s a bed! Look away!! 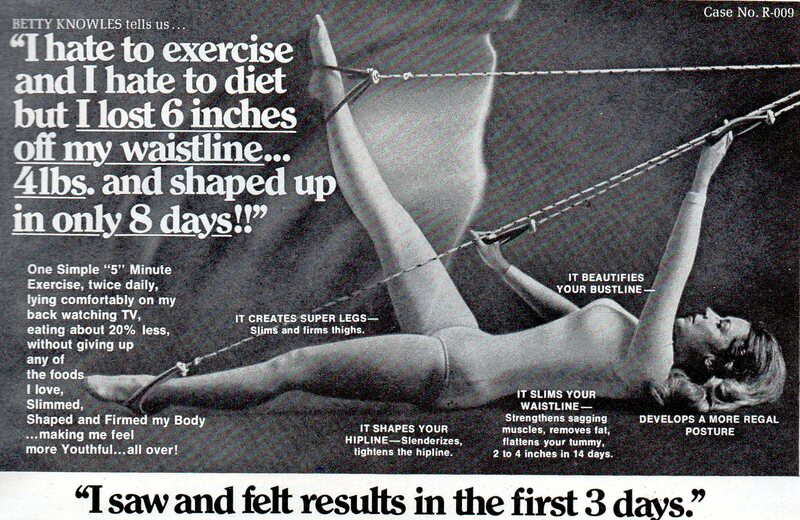 Back in the slightly creepy seventies nothing was more hideous, more odious, more hippopotamus than looking at a cumbersome big ol’ bed sticking out in the harsh light of day smack dab in the middle of the bedroom floor for all the world to see. Not counting the hair, clothing and pop culture of the Slightly Creepy Seventies, nothing could compare to the heartache of having to stare at a bed just sitting there stupidly and awkwardly all the livelong day. 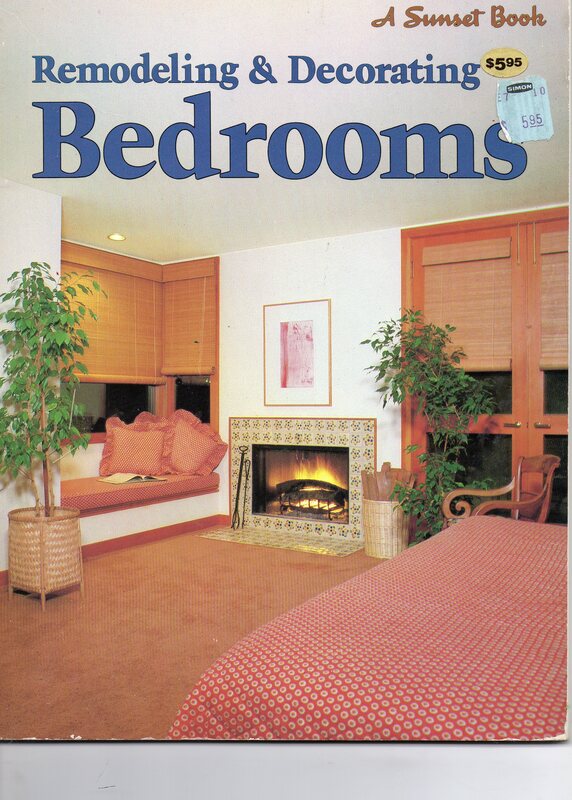 It was a bedroom design faux pas that would have made Mary Tyler Moore herself weep bitterly. 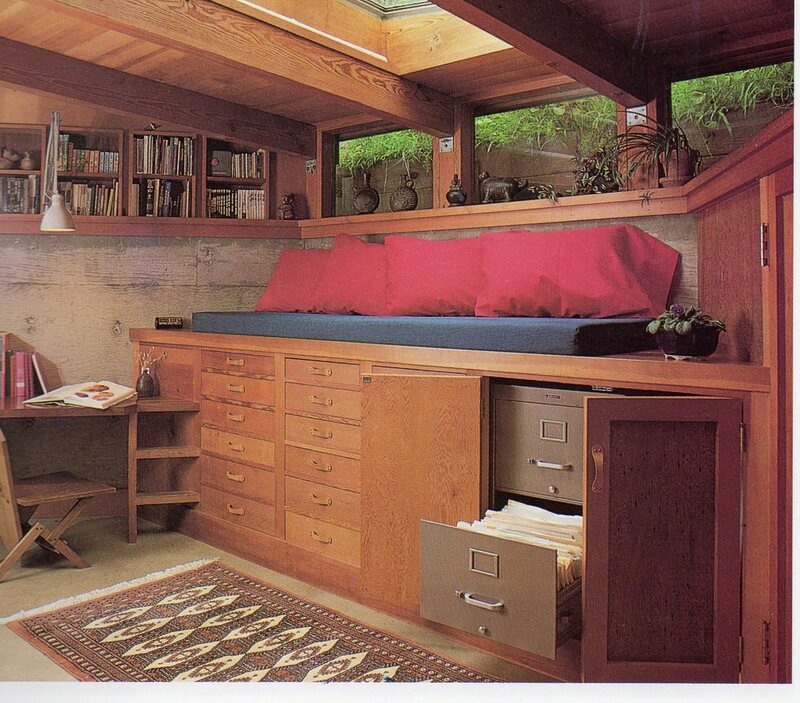 Luckily, bizarre Slightly Creepy Seventies bedroom designers solved this unsightly “bed” problem by making a bed that folded up into the wall at a moment’s notice! That’s better Mary. 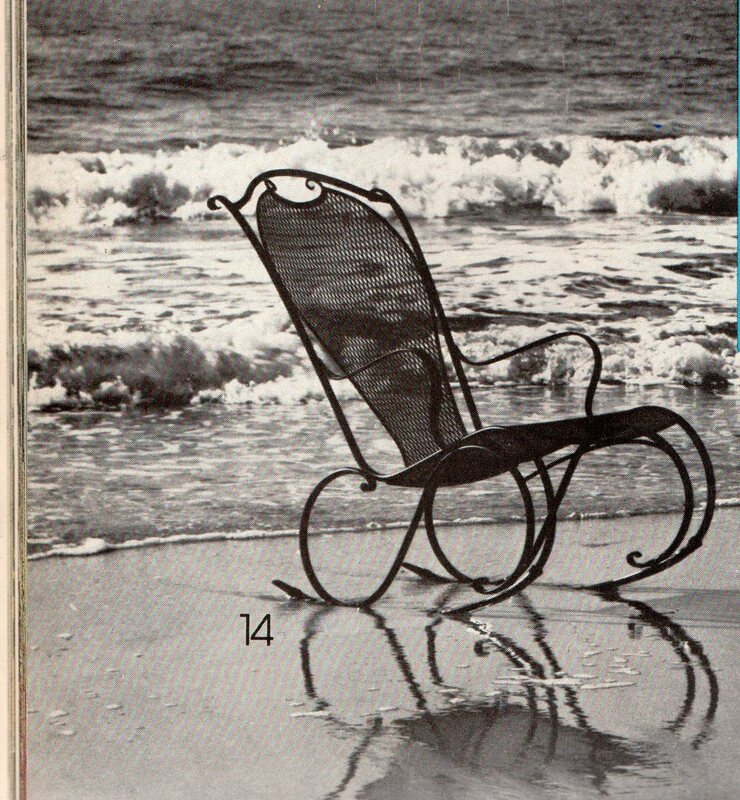 Now quickly, pull out granny’s rocker and make like you’re just reading a magazine. That’s right! Just reading and rocking that’s all. Bed? What bed? Don’t know nothin’ ’bout no bed! Say what? A secret TV? 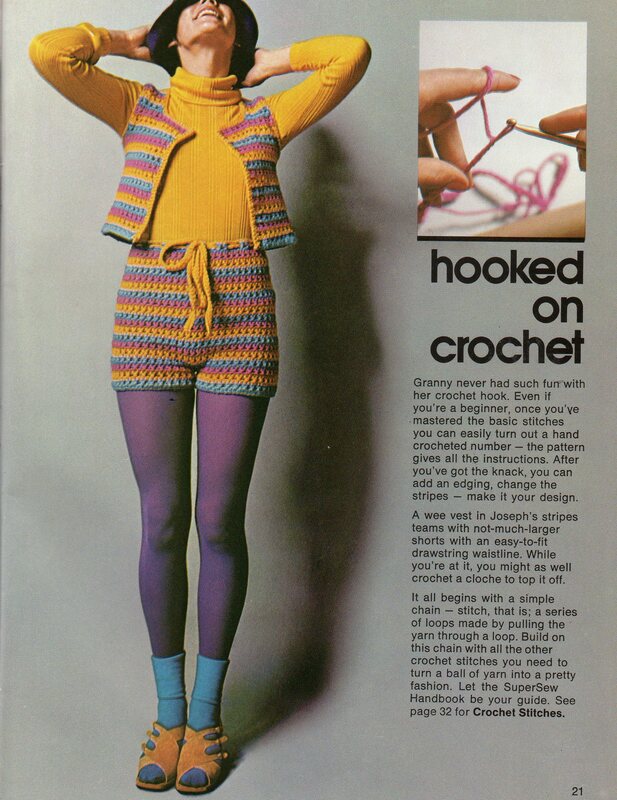 Oh those Slightly Creepy Seventies Designers that were dropped on their heads when they were babies think of everything and then some! 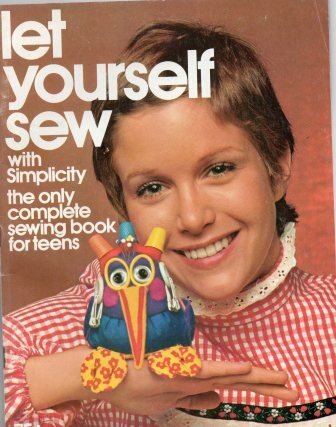 What in the world is slightly creepy seventies Caroline up to? Did she rob the petty cash from the library where she works again and is hiding it in the safe she has cleverly hidden behind that picture? 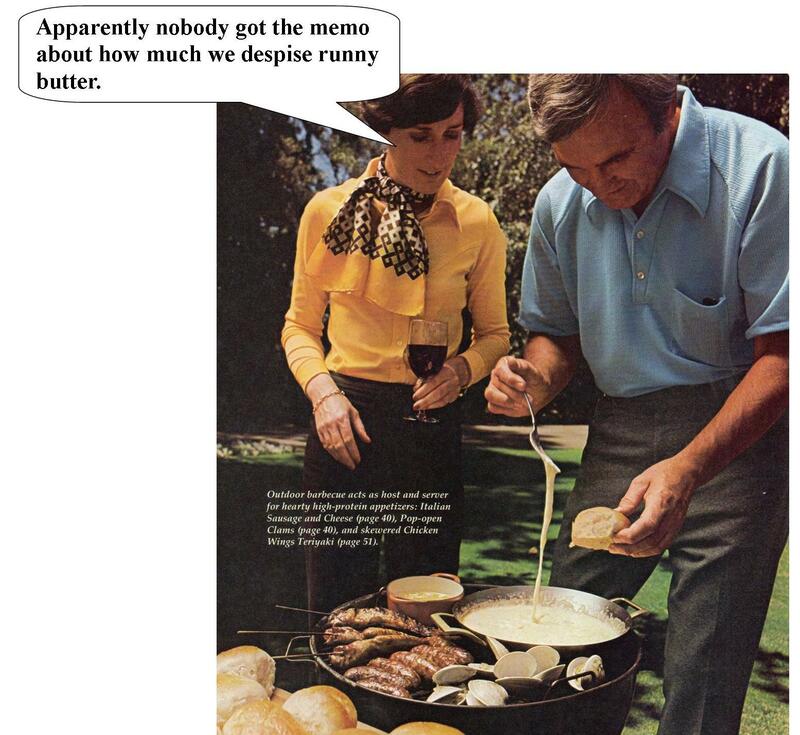 Well don’t let those horn-rimmed glasses of hers fool you. Why? Because hidden behind that picture is no safe! It just so happens it’s a friggin’ state-of-the-art 12-inch Motorola color TV! Yes you heard me right with that little voice in your head that does all your reading! 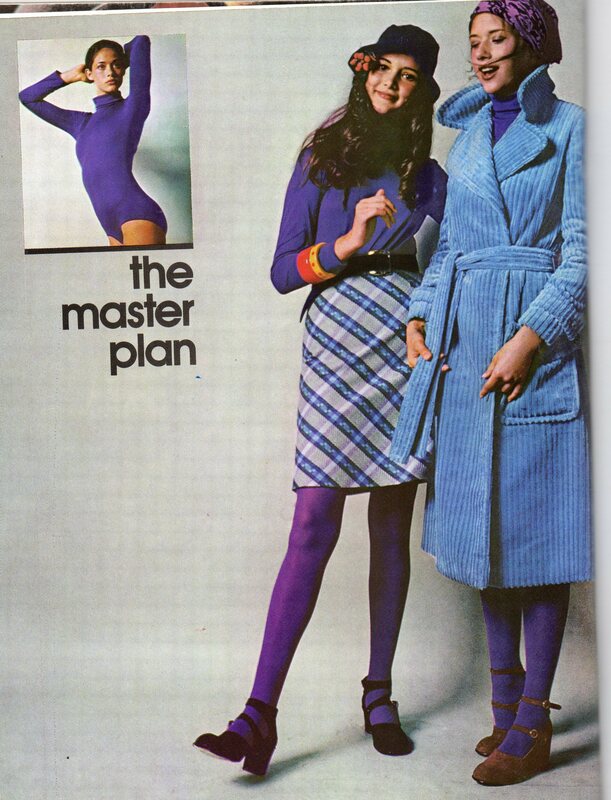 And it seems our dear Slightly-Creepy-Seventies Caroline is a conservative librarian by day and a raging, out-of-control Mary Tyler Moore watching fool by night! Her secret longing? Why to turn the world on with her smile, of course. But she tells everyone she never watches TV . . . so keep it to yourself, huh? 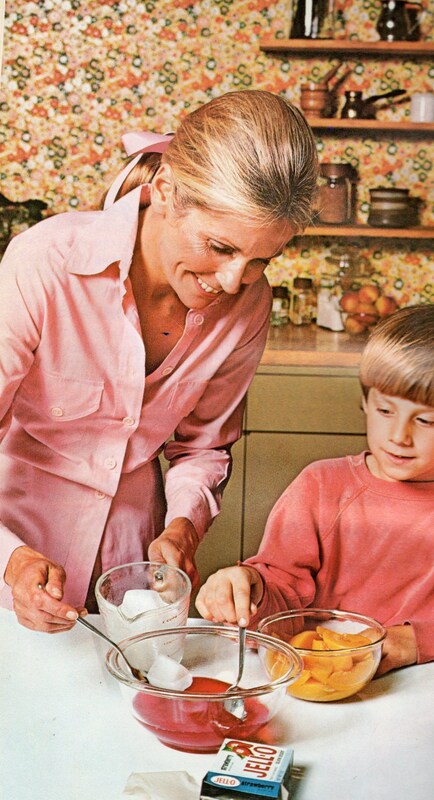 Clearly this Slightly Creepy Seventies mom is enjoying her Slightly Creepy Seventies baby like nobody’s business. The bad news is she accidentally dropped this little guy on his head seconds after this picture was taken. 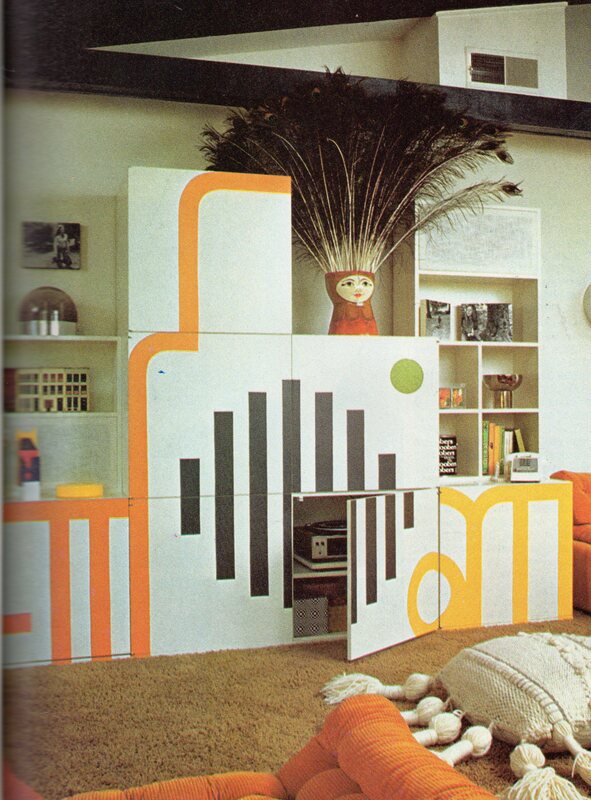 The good news is he will grow up to carry on the tradition of Slight Creepy Seventies bedroom design well into the 21st Century and maybe even beyond, but probably not. And there you have it Dear Readers. 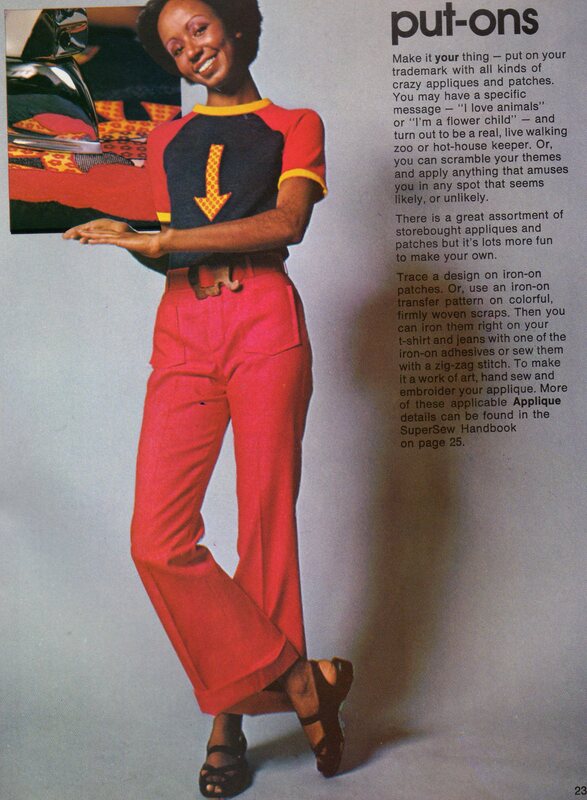 Now you can go about the rest of your day being thankful for the fact that you weren’t dropped on your head when you were a baby or, if you were, at least being thankful we’re no longer living in the Slightly Creepy Seventies. Welcome Dear Readers! 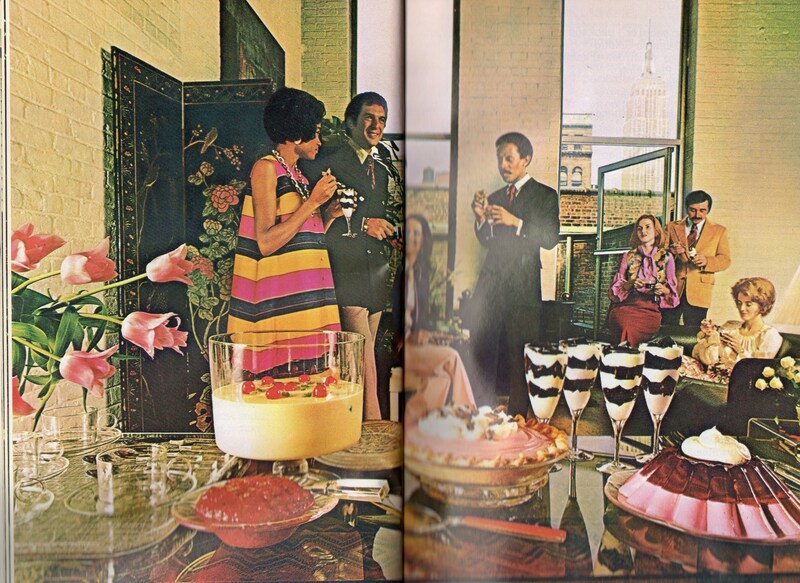 Gosh it’s been a long time since last we clapped eyes on the home decor horrors that only the Slightly Creepy Seventies can provide. 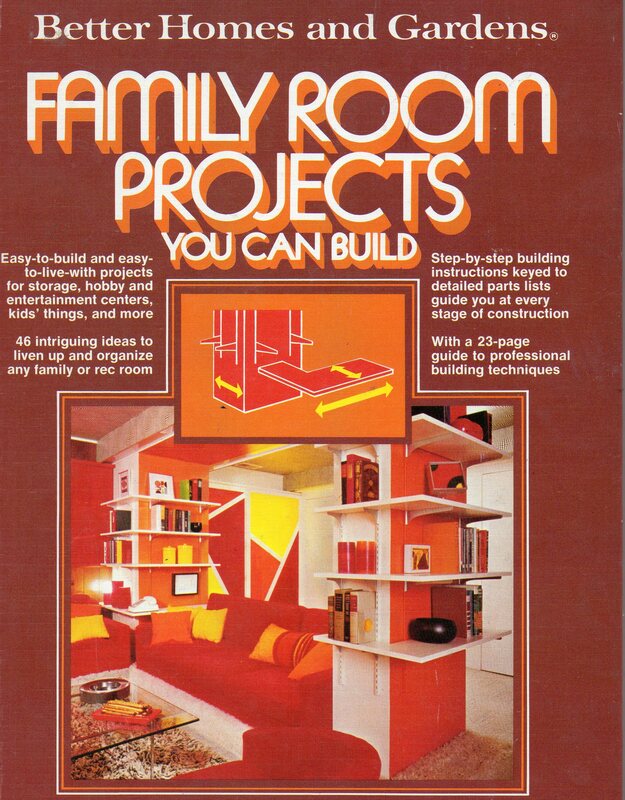 That’s why I was delighted to run across this family room decorating book from 1977 and just in time for Halloween! Now here’s a family room that practically screams fun! If this doesn’t make you want to hum the theme from Jaws, nothing will. 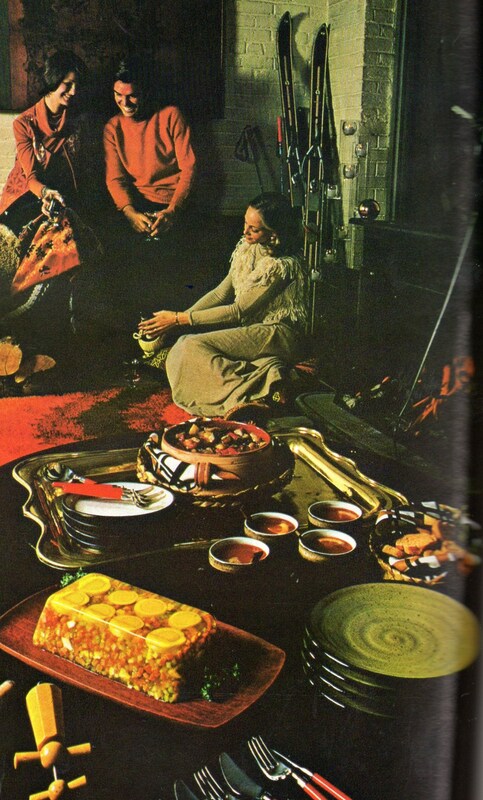 And why are there no people in this Slightly Creepy Seventies family room, you ask? Ha ha! 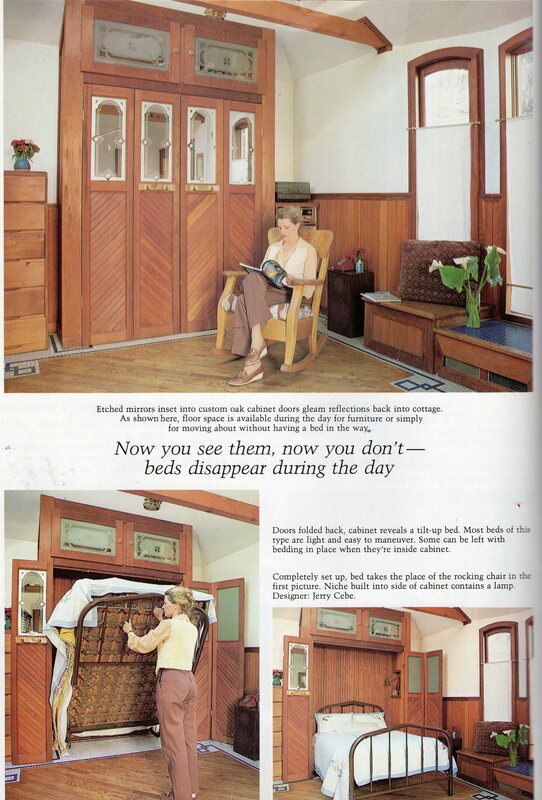 Because they are all hiding in the “modular storage center that fits almost anywhere” or anyone. And thank goodness for that! 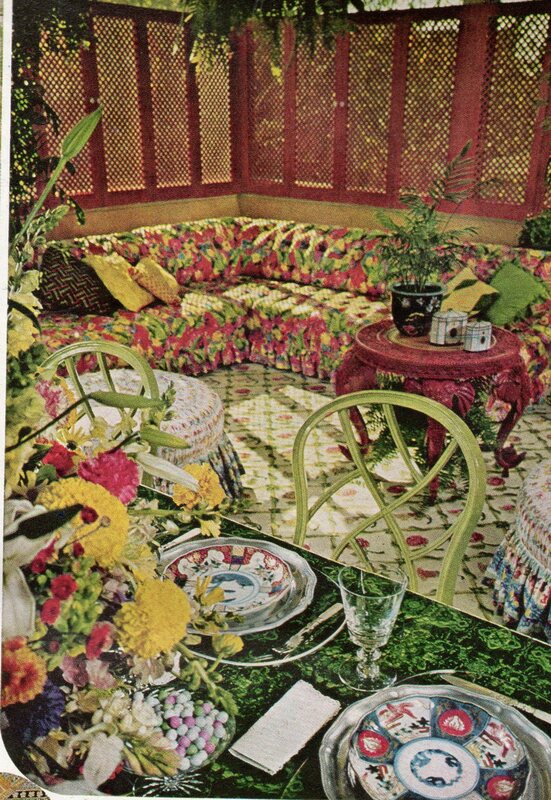 How else would they be able to hide themselves from the giant killer macramé pillow that is obviously taking orders from the Slightly-Creepy Seventies Peacock Feather Vase Goddess? I’ll bet the whole family is thanking their lucky stars right now that daddy scarfed down his cocaine-sprinkled oatmeal this morning or he would have never had the wherewithal to come up with the idea for this clever dual storage/hiding-from-murdering-pillow decorating idea. But uh oh! Look out Little Joshie! You left he door open! 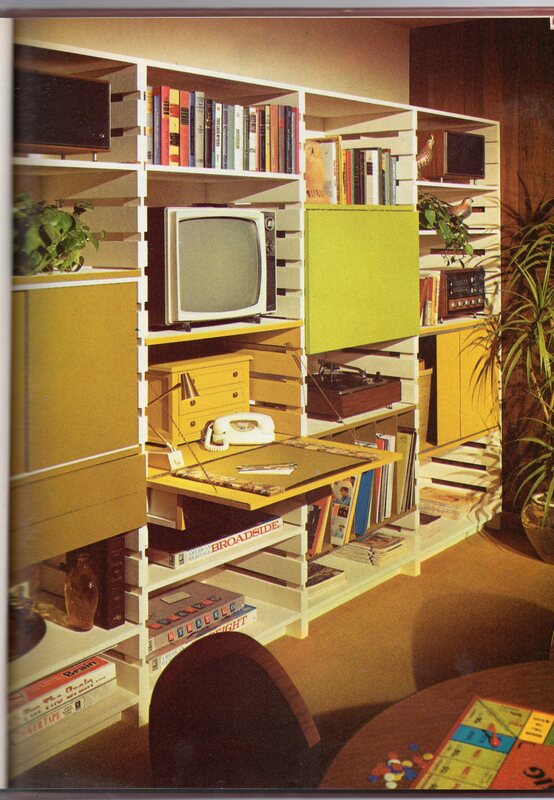 There’s organization and then there’s organization Slight-Creepy Seventies Style! 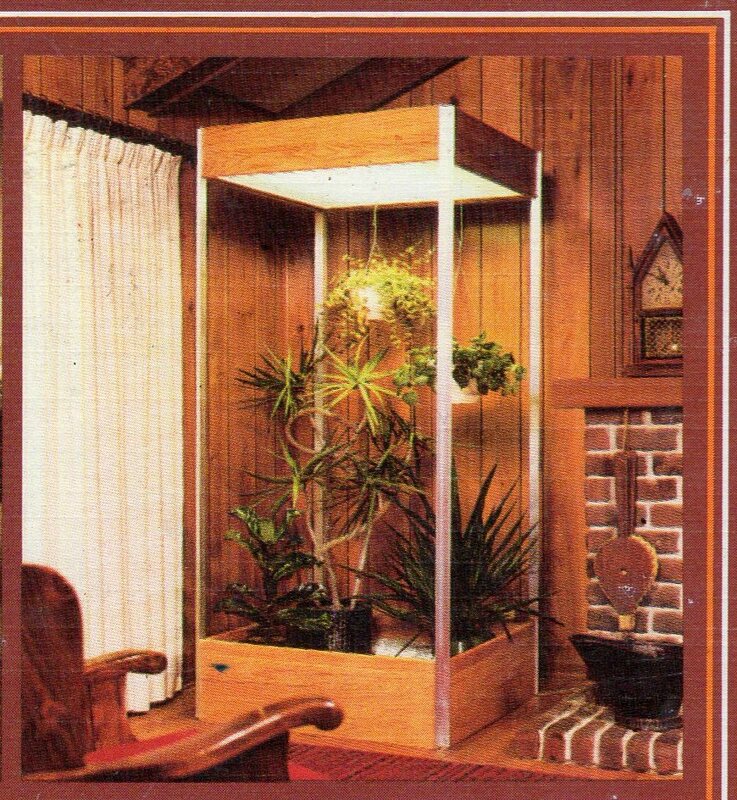 And of course no Slightly Creepy Seventies family room is complete without a plant phone booth (if Mom will ever get off the phone and let the plants use it, that is). What better way for a family to pass through the tedious decade of the Slightly Creepy Seventies at a snail’s pace than to actually pull up a chair and literally watch snails’ pace? Answer? No better way! Well, that is if you don’t count Mom describing to everyone how exciting it was when Jim Rockford got in that high-speed car chase and ran over Mary Tyler Moore and made her hat fly up in the air. 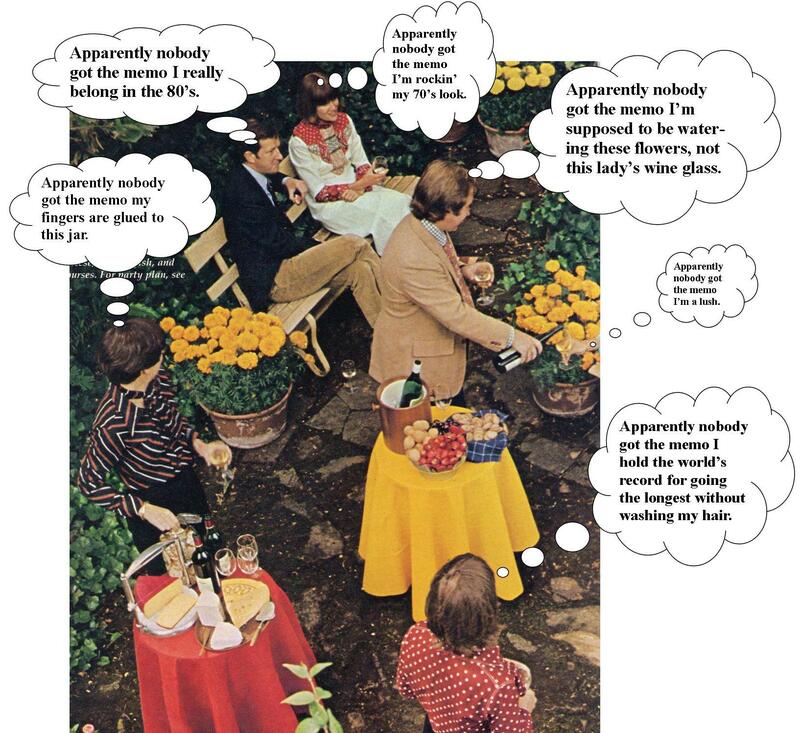 At least, Mom’s pretty sure that’s what happened — but then again she was talking on the phone at the time — and in the Slightly Creepy Seventies, multi-tasking hadn’t even been invented yet. 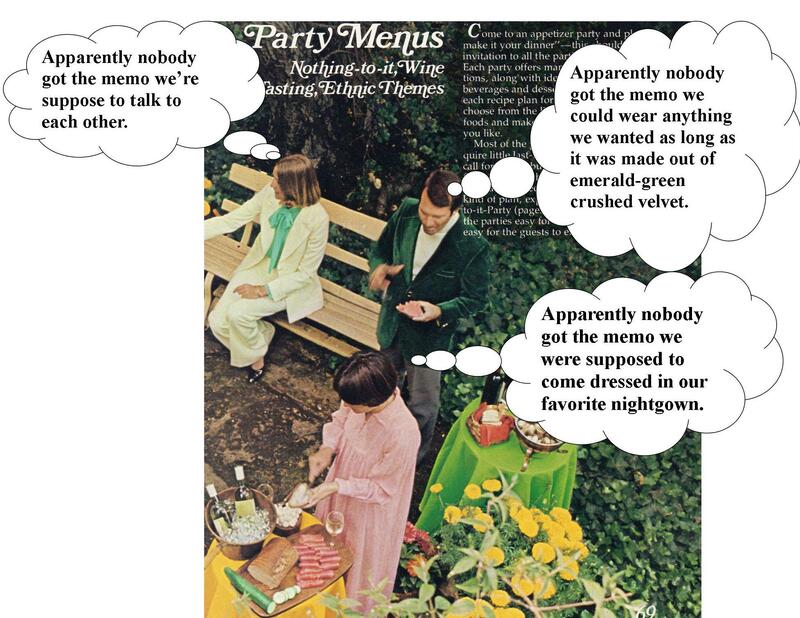 And there you have it, Dear Readers, a little Halloween Horror in the form of the Slightly Creepy Seventies, now go have a fun Halloween and try to forget the horror you saw here.